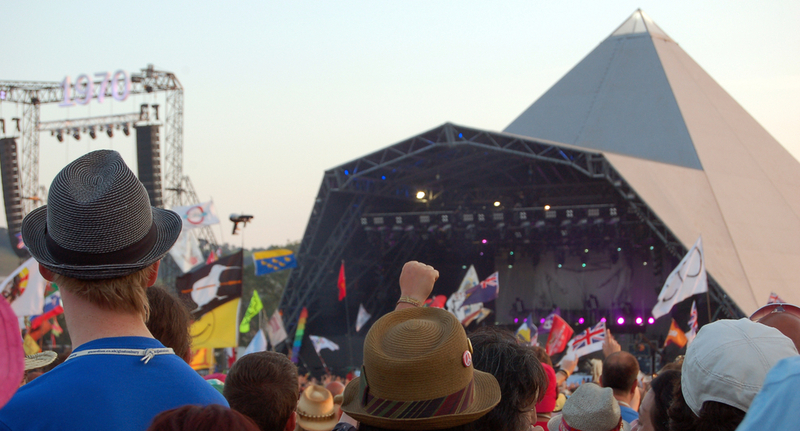 The Glastonbury Festival took place this weekend. Twitter users responded predominantly by arguing about the merits of Kanye West and retweeting a fake poll that claimed to reveal most of the attendees voted Conservative in the recent UK election. Even if you swallowed the notion that an unclear sample made up of 1,000 attendees at a 175,000 capacity event (135,000 of whom were ticket holders) was valid, there was no indication of how the mystery poll was conducted. Oh, and that’s not The Guardian’s font of choice, which is the costly Guardian Egyptian. sorry i didn't spend 300 quid to get the proper guardian font mate! So how did Patrick’s work take flight? In the early hours of the next day, it popped up – stripped of its original context– on the Vote 2012 forum, a fairly obscure message board for political obsessives. By the time UK Twitter started to wake up on Saturday morning, the graphic was being posted all over the place, attached to new tweets that made no mention of PrayForPatrick. His point was being proved. Guardian writers weren’t the only credulous hacks repeating the made up figures as fact. The Daily Telegraph’s music critic Neil McCormick referenced them in a review. Curiously, the piece isn’t online. I wonder why? How did these veteran journalists fail to check an implausible graphic connected to the organization they work for? Perhaps because for them, like so many other people on Twitter, it played into their prejudices. After all Prime Minister David Cameron’s former policy advisor Steve Hilton actually claimed the festival is a Tory stronghold, earlier this year. By the way, I do know Mika was joking.